Be absolute style #GOALS wearing this insane Sarah Ashcroft mini dress! 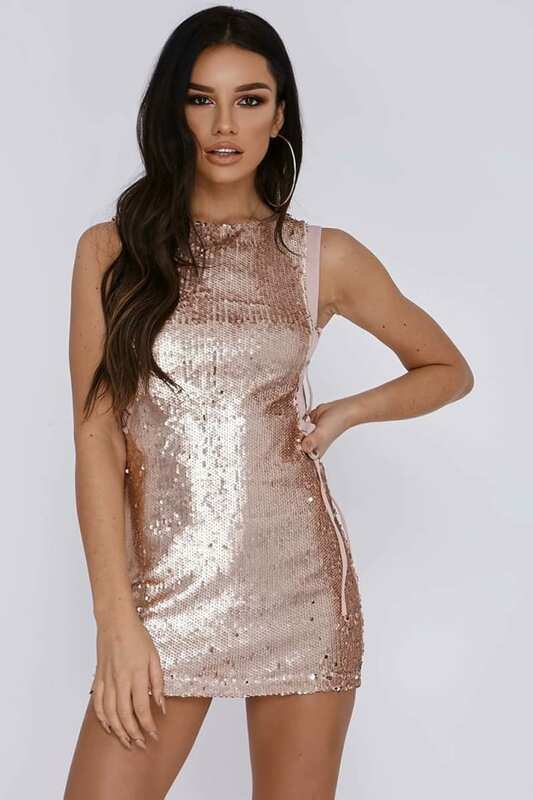 In a beaut all over sequin fabric, featuring sizzling side lace up detail, this beaut mini is the perfect pick for your next night out! Go for strappy heels and tassel earrings to complete the look.